Jakarta - KeMANGTEER. After we celebrate World Wetlands Day, KeMANGTEER Jakarta had a chance to collaborate with AIESEC UI for planting mangroves in Marunda (North Jakarta) on Sunday (18/2/4). 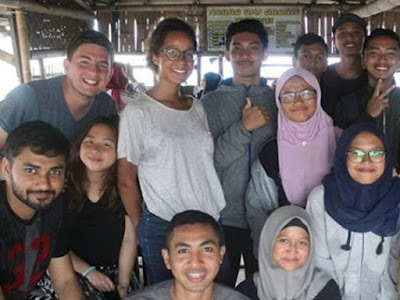 AIESEC is World Youth-run Organization that work together with many universities in Indonesia of making volunteering project to help, care and know more about Indonesia. In this AIESEC Winter Festival with University of Indonesia they make 'Jakarta Environmental Care Project' to concern about Jakarta environmental problems, real actions, and spread it to the society. The Participants are from University of Indonesia, France, India, Mexico, China, Philippines and Cambodia. We were also helped by students from Senior High School 4 Bekasi. 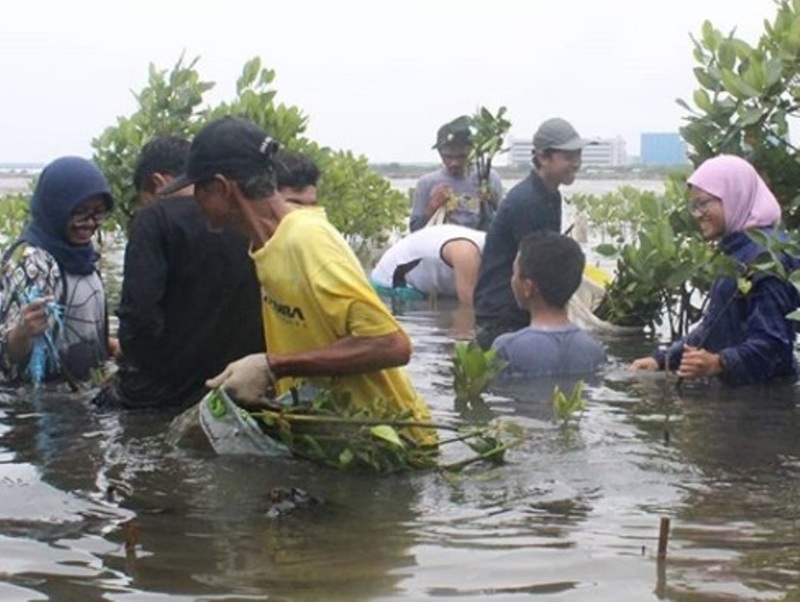 After introduce KeMANGTEER Jakarta, explain mangrove functions and how to plant mangrove, we moved to the coastal to planting 350 baby mangroves. 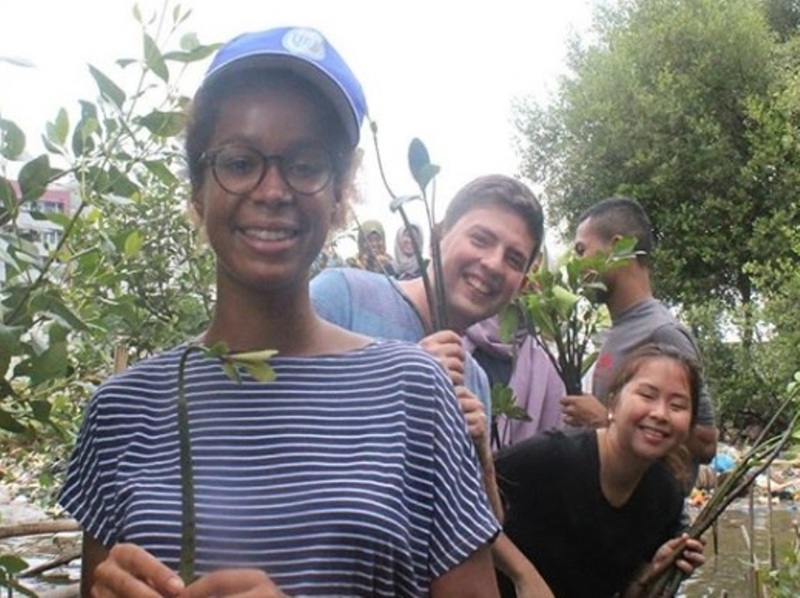 Most of the participants haven't see and planting mangroves before so they were really excited. Naro from Cambodia and Fran from Philippines shared about mangroves in their countries. Fran told because Philippines have many islands so the government and communities protect islands from abrasion with mangroves. Naro said mangroves in Cambodia grow alot and become an eco-tours. Cécile from France is really curious about how mangrove being dye of scarf and batik. Also she really want to taste snacks from mangrove flour. The Marunda coastal had been abrasion causing people lost their house and it really close to Marunda Flats Building. The coastal is also full of plastic trash from Banjir Kanal Timur river. Mangrove can save Marunda coastal to accumulated sediments and decrease abrasion. People should be aware for plastic trash they produce and begin diet-plastic to save environment. (ADM/NF/KJKT).